Although the purpose for our bank holiday visit to Champagne was technically research for the upcoming Prestige Cuvée vs Vintage tasting with Jancis Robinson MW – an event at which Krug, due to the House only producing prestige cuvées, will not feature – no trip to Reims is complete without stopping by this most prestigious of producers. 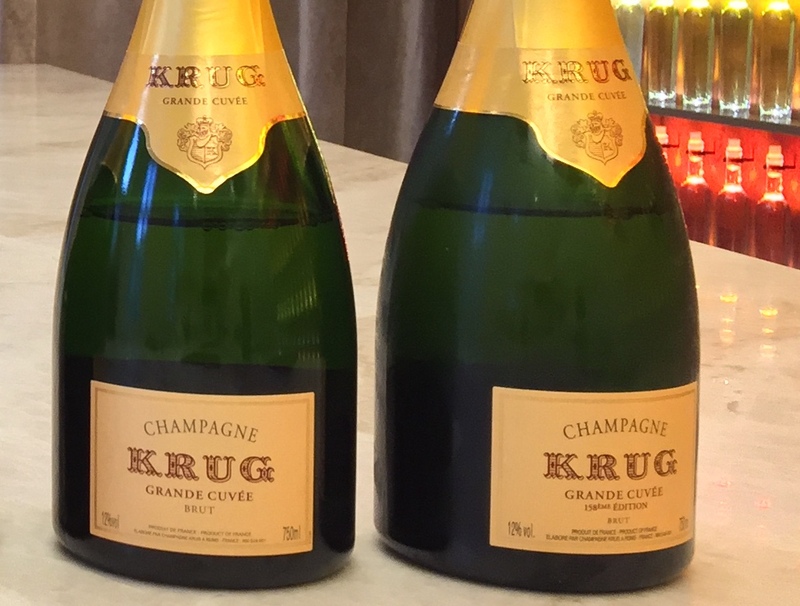 Further, since we last visited Krug in March 2017 (read abut our 2016 Vins Clairs tasting here), the Maison has completed a serious renovation project, so we simply couldn’t resist saying hello. Although we had scheduled to meet with Olivier Krug at the new guest house, recent events prompted a spontaneous change in our rendezvous location. 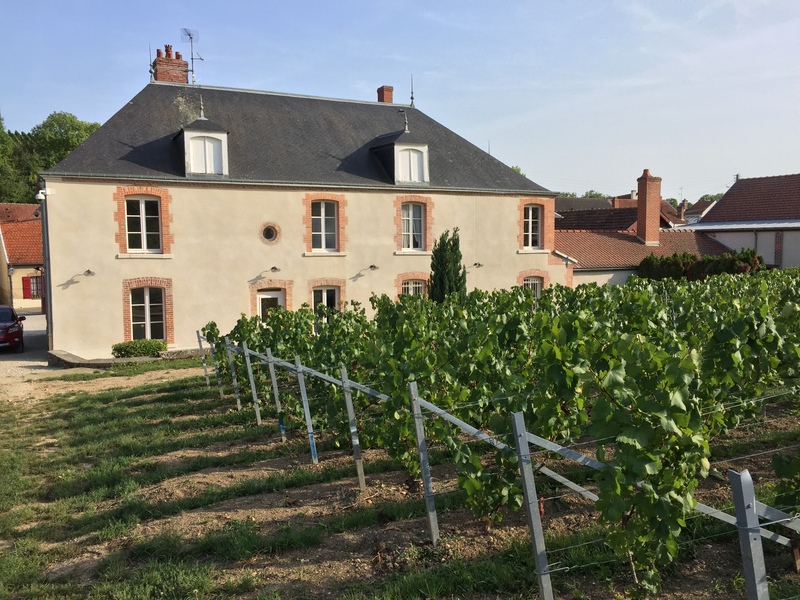 Whilst many in the region have been estimating an unusually early harvest in 2017 for some months, Krug’s decision to start picking grapes at the infamous Clos du Mesnil on Friday 25th August still took many by surprise. As such, Olivier was itching to visit the vineyard himself and when he suggested we meet there, we weren’t inclined to argue! Olivier greeted us with characteristic warmth and introduced Jérôme Jacoillot, a winemaker quality manager at Krug currently overseeing the Clos du Mesnil site. Jérôme explained that the vineyard’s east-facing aspect and walled-protection from the village creates a warm micro-climate unique to the Clos. 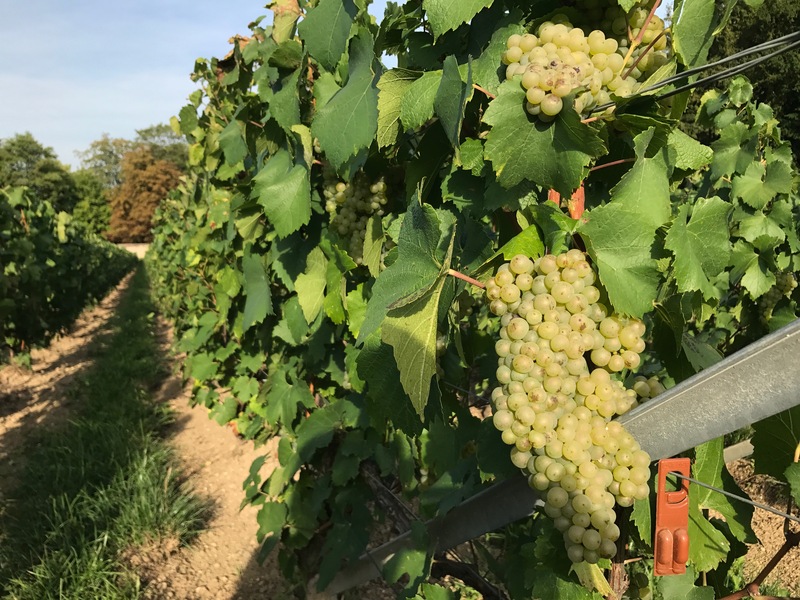 As such, although the Champagne harvest had not yet widely begun, the ripest of Clos du Mesnil’s plots was ready by August 25th and thus picking commenced. However, each section of the vineyard is subject to slightly different weather patterns and as such, just one of the eight plots was harvested that day. 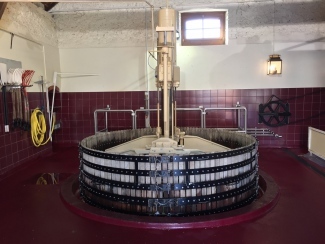 Since our visit we learned that picking finished on August 30th and the last grapes had been pressed by September 2nd – one of the earliest ever harvests for the region. After a quick tour of the vineyard, we visited the facilities on-site. 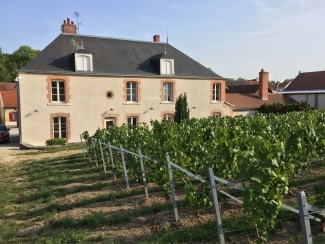 Impressively, Clos du Mesnil is produced entirely at the vineyard. With a traditional pressing machine, multiple stainless-steel fermentation tanks and stocks of barrels for ageing, Krug have everything they need for the making of this special cuvée. 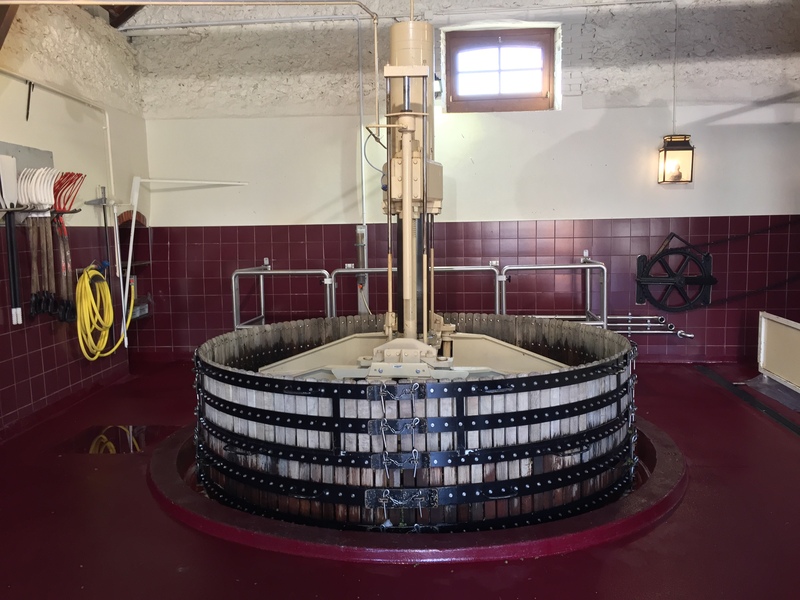 We were fortunate enough to taste some of the pure juice straight from the press – clean and precise, early signs for a Clos du Mesnil 2017 are encouraging. You can view footage of our visit to Clos du Mesnil here. Back at the house in Reims, CEO Margareth Henriquez gave us a tour of Krug’s renovated Maison. Over two years of development has seen the legendary, if a little unwelcoming, property completely transformed into a modern museum fit for the 21st Century. With Bluetooth speakers wired across the estate and a bespoke tasting room (Le Salon des 400 Vins) featuring 400 illuminated bottles representing the base wines that form Grande Cuvée, Krug will be open to visitors for the first time. 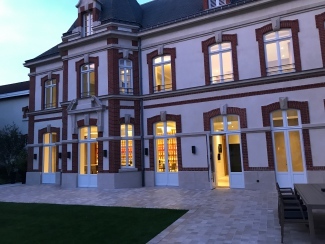 To salute the occasion, we sat with Olivier, Margareth and Jancis in the innovative and multi-sensory new tasting library and sampled the latest Krug Vintage 2002 alongside the previously released 2003. 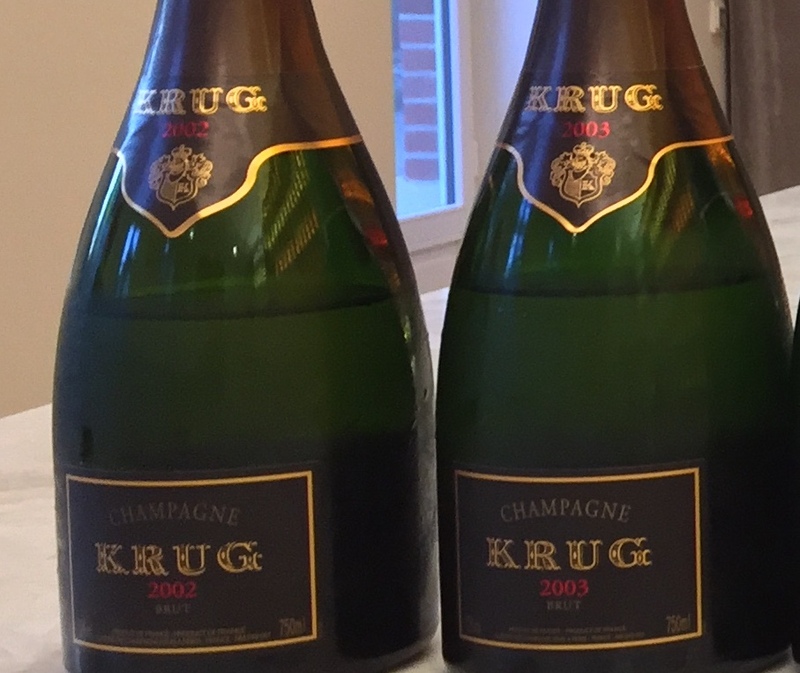 The non-consecutive releases of 2003 and 2002 marked the first such occurrence since Krug Vintage 1989 was released before 1988. Immediate lemon and marmalade hints on the nose and palate. Slightly hollow in the middle. Lots of Chardonnay comes forward and then the rich berry fruits and then whacks of the nuttiness character. Huge power as ever, very upfront. Loads of creaminess, incredible structure but still very youthful. Brioche flavours on the palate. Lingers forever. Has so much lushness, power and fruit: still so wow. Indeed, Olivier attributes the success of the Grande Cuvée Editions to it changing the story of Champagne. “This is a sommelier’s dream. 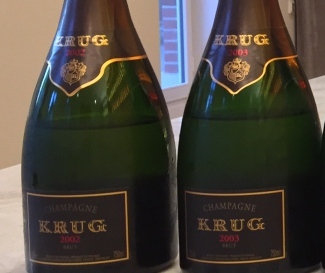 We have given both the on-trade and the private consumer something to explain – a beautiful story to tell that translates well.” We were fortunate enough to taste a bottle of the elusive Krug Grande Cuvée Edition 158 NV (with 2002 as the youngest wine). As 2002 preceded the beginning of the Edition phase, these bottles were never purposefully kept and were found after the re-labelling. Disgorged in 2008, this Edition 158 had less than 5 years on the lees, whereas the later Editions are aged for at least 2-3 years longer. Loads of apricot flavours. Edition 159 is Olivier’s favourite – a small and challenging year, they wanted 2003 as an experiment because such ripe years are so rare. Has a 2003-ness, slightly hollow in the middle. Last of the production before it went out of the warehouse before the Editions started. With 2002 base, this is really rich and creamy with length that goes on and on. Can’t get much riper than this. 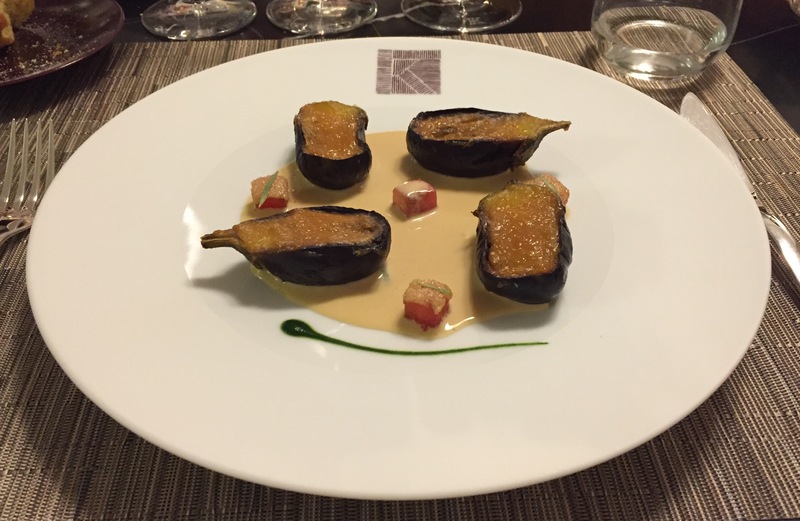 After an unbeatable tasting, we were invited upstairs to the Maison’s renovated dining room for one last treat. The dining room – previously the bedroom of Olivier’s grandparents – is overseen by Arnaud Lallement, the chef and proprietor of l’Assiette Champenoise, a Michelin three-star restaurant in the nearby suburb of Tinqueux. Every glass, china plate and even bread-based appetiser is emblazoned with a new signature Krug Maison de Familie monogram, befitting the grandeur of the new development. Another truly spectacular visit to Krug. These are exciting times for the luxury producer – in Margareth they have an ambitious leader with a visionary spirit; in Olivier they have a charming raconteur with a passion for people; and in the new Maison they have a modern mausoleum in which to share their story. The best way to spend a bank holiday Monday? Now that Krug is open to visitors, we recommend you find out for yourself.